Tags Posts tagged with "what to write on funeral flowers"
Sending flowers to someone during a time of loss is a lovely thing to do. It shows you care and want to wish them well throughout such a difficult time. 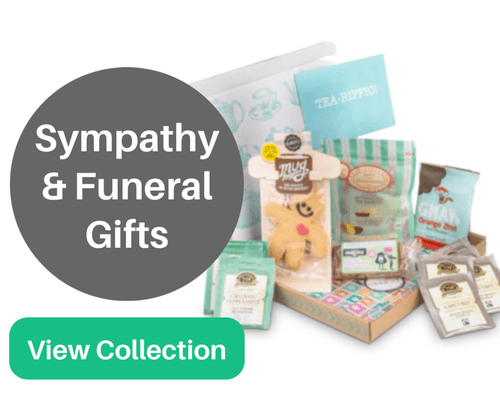 However, you will often be given the option to include a card and message with your funeral flowers. If you decide to include a card it can be stressful trying to find the correct words to say for funeral flower messages. Take the time to consider your wording, as funeral flower messages have the power with only a few lines to raise someone’s spirits and show that they are not alone. A sense of understanding and support can be conveyed which will be greatly appreciated when they are struggling through a loss. These flower messages will be suitable for the card you wish to accompany the flowers you send or you can adapt so they are most suitable for your situation. Your flower message needn’t be too long or a literature master work. 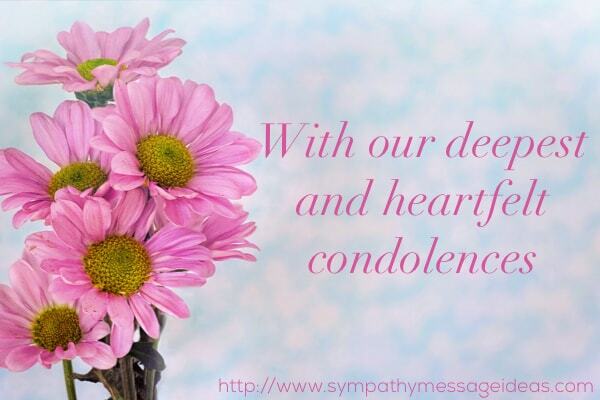 A few words of sympathy, acknowledging their loss and maybe offering comfort is all that is needed. Often the flowers you buy come with a small card that you can write your message on, and because of it’s size that doesn’t leave much room to write a lot. 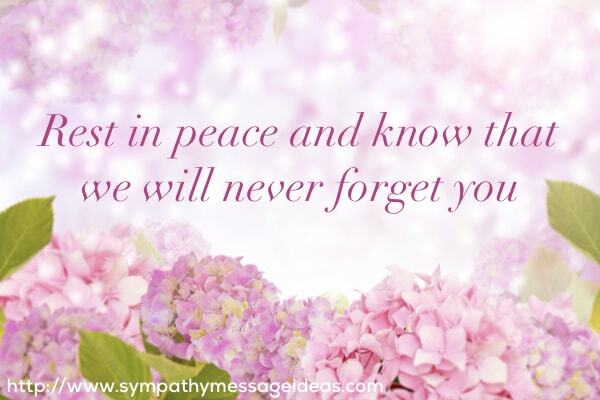 But a short and simple sentence or couple of lines is more than enough to express your condolences. Alternatively if you want to say more, and it’s absolutely fine to do so, you can buy your own card and send it with the flowers. As long as you speak from the heart and are sincere though then your message will be warmly received. If you are still a bit unsure or not confident of what to say in a funeral flower message then the examples below should give you an idea and hopefully some inspiration to write your own. Many of them are also perfect for a funeral wreath message if you are sending one as opposed to a regular bouquet of flowers. Know that you are in our thoughts and prayers. 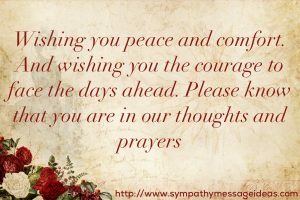 Praying for you to have peace and strength at this time. You have my deepest sympathies. Praying that Our Heavenly Father will comfort your heart and bring peace to your spirit during this difficult time.